In Persona 5, Ann Takamaki’s Panther outfit consists of a shiny red bodysuit, dark red thigh high boots, pink gloves, a cat mask, a matching tail, and of course, Ann’s signature fluffy pigtails. It doesn’t sound like there’s much to it, but it can be a bit daunting to make if you don’t have a lot of sewing experience. 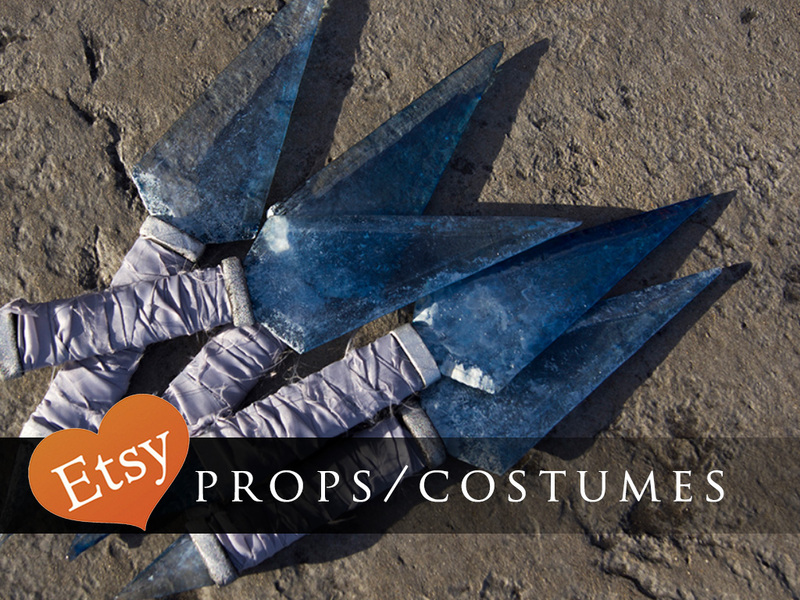 I personally made mine from scratch, and I’ll walk you through the entire process in this costume breakdown! I started out using an Ororo Classic in Ashe Blonde, two matching long curly clips, and a pack of matching long wefts from Arda Wigs. I started by adding in some long wefts along the bottom edge of the wig cap on the inside. If you neglect to add wefts into the bottom, you’ll be able to see the wig cap when you pull the hair into pigtails. I took a few layers worth and sewed them in by hand. I then pulled some small sections of the wig into pigtials towards the top of the wig and tied them with hair ties. After that, I pulled sections of wig fiber, starting from the top and working my way down, in a criss cross pattern to make the zig zag part in Ann’s hair and clipped them up near the pigtails with large lobster hair clips. Once all the wig fiber was sectioned off, I tied some hair ties very tightly around the each pigtail to secure it. It took quite a few tries to get right, so don’t give up! Once all the wig fibers were all pulled into the pigtails, I clipped on a curly clip onto each one of the pig tails and brushed them out to get the long, loose curls. After that, I trimmed the wig to the length I wanted and added in a yellow hair clip. For the bodysuit, I used exactly the same method as I used for my Zero Suit Samus bodysuit. I altered an existing bodysuit pattern by making a mockup out of cheaper fabric and using it to make a new pattern. Essentially, you follow the pattern’s directions for your mock up. Once its done, you try it on, take it in/ let it out in any areas that might not fit well, and then draw your new seam lines on where you need them. Remember, if the bodysuit is symmetrical, you only need to worry about one half of your mock up. Thats why in the pictures below I only have one leg added on. Ann’s bodysuit has multiple zippers running through it, some odd seam lines in the back, and an open chest. I simply took a pastel pencil and drew some lines where the zippers, seam lines, and open area would go. Once I had a general idea of where the lines should be, I put the mock up on my dress form and fine tuned the lines. Once you’re happy with the lines, you’ll be cutting them apart to use as a new pattern, so make sure you’ll be able to tell where each piece goes. I always label each piece with letters or numbers so I can match them back up once they’re cut. Its also a good idea to add some lines that run through the seam lines, so that you can line them up perfectly again by matching them back up! I also use arrows to indicate where the middle back and middle front are and label any pieces that need to be cut on a fold. Next, you’ll need to cut out all your new pieces and transfer them onto paper. Newspaper works well for this, but you can use any kind of paper you want. Lay your piece out as flat as you can and trace around them. Be sure to add seam allowances where you need them! I always use a half inch seam allowance for all my projects because its simple for me to work with. As you can see below, all my pattern pieces are marked with all the references I need to know where they go and fit together. I even used squiggly lines to indicate where zippers would need to be installed. Once you have all your pattern pieces transferred to paper, its time to cut your fabric! If you’re using stretch vinyl like me, this can be a bit tricky. Vinyl fabric doesn’t take to pins well, so instead of pinning the pattern pieces in place, I use Scotch tape. If you use pins, be aware that anywhere you poke the vinyl, you will leave a hole. That hole will never go away, so if you poke anywhere in the fabric that isn’t going to be covered by the seam allowance, you will be able to see it later. So if you use pins, make sure they won’t be in a visible area! If you’re not using vinyl, you really don’t need to worry about this. Once you have all your pieces taped/pinned down, cut them out! Next, its time to start sewing together your bodysuit! Treat it like any other sewing pattern and just piece it together. Be sure to use a stretch stitch as well! Otherwise your seams might bust! I started with the top of the bodysuit and worked my way down. I added in the zippers just like I would any other zipper. Remember to cut slits along the curves to make it easier to sew! As you go, you may notice areas that need to be reworked in order to fit. Don’t be afraid to make adjustments! I had to take the center of my bodysuit in because it ends up being too bulky in the front. The dark lines along the center in the picture below are where I ended up taking it in. The collar required a very short zipper, so I had to shorten one to fit. To do this, very carefully, cut between the teeth of the zipper with a pair of scissors. With metal zippers, you have to be sure not to try to cut through the metal, as it will ruin your scissors. Leave about an inch extra to work with. Then, with a needle and thread, hand sew the excess to the inside of the garment. To make sure the zipper doesn’t fray and fall apart later, seal the edges with fray check. Ann’s bodysuit has large rings on all her zippers, so the very last thing you’ll do is add those on! I used key rings and attached them on with jump rings. In the end, the bodysuit fit like a glove! I did however struggle with it quite a bit. The pattern pieces ended up being very confusing and the fact that the zippers won’t stretch with the fabric didn’t help with the fitting at all. Even if you struggle, don’t give up! Just keep at it until you get it right! A full video tutorial for the boots is available on my Youtube channel! But if videos aren’t your thing, I’ll go through the process briefly below. To make the boots, I started with an existing pair of ankle boots and permanently attached covers to them. Put on one of your boots and wrap your leg and boot up in plastic wrap and masking tape. Then, draw on your seam lines with a marker and cut the pieces off of your leg with a pair of scissors. Be careful not to cut yourself in the process! Then, use those pieces as patterns to cut out your fabric and begin sewing! Ann’s boots also stick out from her leg, so to mimic this look. I added heavyweight interfacing to the tops to give them support. As you go, try the covers on and adjust them to fit the way you want them to. I had to take mine in in some places because they ended up being too loose. Last, you’ll need to attach the covers onto the boots. To do this, stretch the covers over your boot, cut the extra fabric off at the bottom of the boot, and fold the seam allowance up under the cover and glue it down with a permanent fabric glue. Use pins to hold the fabric in place as it dries. I know I said earlier to not use pins in vinyl where you’d be able to see them, but this is an exception. You need to keep the fabric held down to the boot while the glue dries, and this is the best way I know to do it. I started with a length of polypropylene cord. I made it as long as I wanted the tail to be. Polypropylene cord will fray once you cut it, so be sure to seal it up to keep it in tact. I used my heat gun to heat seal the edges, but a few passes with a lighter would also work. If you don’t want to use heat, glue will work as well! If you use heat, be aware that the polypropylene cord will melt very quickly, so don’t blast it with heat for more than a couple of seconds at a time. Be EXTRA careful if you use a lighter, because the cord will catch fire if you leave the flame on it too long. Just be sure to use caution and pay attention if you use heat! From there, I wrapped the cord in felt, using spray glue to help keep things nice and flat against the cord, and built up the cord until it was the thickness I wanted. When the thickness was right, I glued the edge down with a fabric glue and held it in place with pins while it dried. Once the glue had dried, it was time to cover the felt with fabric. I stuck the tail between two long pieces of fabric, pinned them in place, and measured how much fabric was needed to cover 1/2 of the thickness of the tail. Then, I sewed the two fabric pieces right sides together all the way down the length and measured out and marked the thickness I needed for the tail. Then I sewed another straight seam down that line. Since my fabric is stretch vinyl, I used a straight stretch stitch. I also sewed a curved line to close off the bottom of the tail, as you can see below. Next, I trimmed the edges of my new tail covering and turned it right side out. Once it was all turned the right way, slid the covering over the felt tail. Once you get the covering all the way on, hand stitch the end closed and trim the excess fabric off. At this point your tail will look kind of like a hot dog. Next up is the little silver cap that goes on the base of the tail. I made mine using Black Worbla. I simply stacked up some layers, cut them to size, and wrapped them around the end of the tail with the end stitched closed. I then stuck some more Worbla into the top, pressed it down as flat as I could, and smoothed out all the seams with a Dremel and sanding wheel. For the ring, I used a thick chainmail ring. I made a small divet in the cap to fit the ring by heating the Worbla and pressing the ring it down into it. Then I grabbed some Worbla scraps, heated them up until they were nice and soft, and used them to fill in around the ring. Lastly, I used a metallic wax to color the cap silver and attached the tail onto the back zipper of the bodysuit. My mask is a resin cast from an original that was sculpted with Chavant clay. I sculpted one first, made a brush on junk mold, cast a junk cast, filled and smoothed the junk cast, then remolded and recast for the final mask. I also have a full tutorial for Brush on Mold making on my Youtube channel! If making the mask isn’t your thing, you can purchase a finished mask from my Etsy Shop! My gloves are just a pair of elbow length gloves purchased from Amazon that I altered the length for. With everything finished, you’re ready to steal some hearts! A great walk through! I love it when people who are dedicated to cosplay actually share their journey. Thank you for taking the time, and great costume!!!! I’m so glad you made a walkthrough for Panther, since I’ve been searching forever. The zippers are the most intimidating part. The craftsmanship looks great, keep it up! I as waffling between making one or buying one. After reading your breakdown, I’m going to make it. Can I ask where you bought your fabric? I’m looking at Spandex World, but if there’s somewhere better, I would love to know about it! I love this. I’d been wondering if I should make or commission my Panther outfit, but after looking at your breakdown, I think I’m going to make it! Just wondering… Do you have a preferred place that you get your stretch vinyl? I bought mine from MJ Trends They have stretch vinyl in both red and wine colors. I used the red for the bodysuit and the wine for my boots.